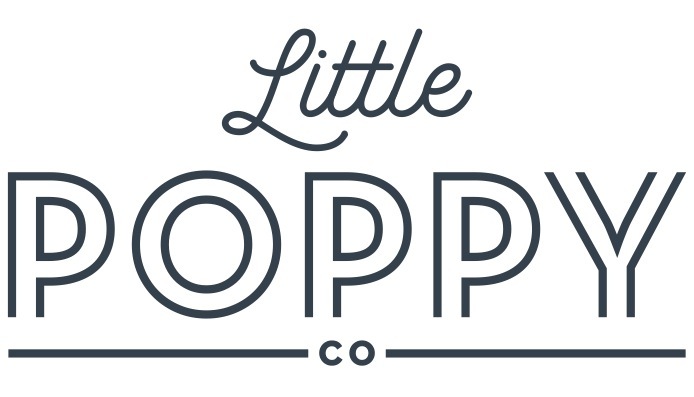 We are Lindie & Becca, the owners and sisters (in-law) of Little Poppy Co! It's weird that we are only sisters-in-law because it totally feels like the real deal. Our love for Madewell, Diet Coke, and bow fabric is just the start to our awesome relationship. We created the best hair bow company we could think of to make life easier on moms. Lindie is a twin mom to Henry and Nora and after they were born the last thing on her mind was finding and buying bows for her little Nora Rae. Luckily Becca is super-crafty. She came to Lindie's rescue making sure Nora always had the cutest bows. Becca found out she was having a little girl a year later and obviously Charlie had one zillion bows before she was even born. Lindie had the idea for a hair bow company one day when Nora lost an expensive & adorable bow literally 5 minutes after leaving the house, the very first time ever wearing it! Lindie realized she could never have enough bows for Nora. That is when the brilliant idea of a bow subscription was born. With Becca's love for bow-making and Lindie's background in business, we are the perfect team. We want you to love your bows so we really care about choosing the perfect patterns and colors for each month. We are continually trying to figure out what you need and want and deliver it to your front door before you even knew that it was exactly what you wanted. A hair bow company that delivers bows to you every month. Get real! How awesome is that? We take so much pride in each months bows and we hope you always love them. We want to make your life just a little bit easier because being a mom is A LOT of work and we know that. If your babe loses her bow on the first day like Nora, don't stress. We've got three more coming your way next month! People talking about Little Poppy Co.
Little Poppy Co bows are my favorite! They are so cute, soft and comfy on my babies head! The style and colors are always adorable and perfect for the season. I'm so glad I found this bow subscription! Is my daughter the only one who loses bows like crazy?? With Little Poppy Co's bow subscription I never have to stress about finding new cute bows, or spend a fortune on them! I love it!! I love knowing I'm getting three quality bows each month that are always the cutest colors and best prices! I also love the nylon they use and that both my daughters can wear them even though they are two years apart.